Harry Redknapp claims Arsene Wenger will leave Arsenal when he’s good and ready, and not a moment before, according to the Express. The Frenchman has come under increasing pressure recently, with Arsenal fans furious at the team’s sub-par performances. This season looked like the Gunners’ best chance of lifting the Premier League trophy, and a third consecutive FA Cup looked well within their reach too. However, crashing out of the Capital One Cup against Sheffield Wednesday, the FA Cup against Watford, and looking like losing out in the league to Tottenham or Leicester has left them in really bad shape, and the fans are sick and tired of the club’s struggles. The former Tottenham boss believes Wenger should choose his own departure date though, and shouldn’t bow to the fan pressure. “Arsene will go when he feels like it. I hate to see him get skinned because he has done an amazing job for so many years,” Redknapp said. 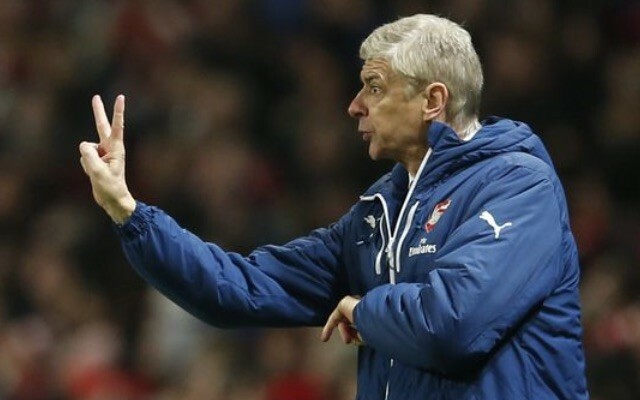 “I’d hate to see him go when he’s getting grief because he’s been a great manager of Arsenal. “He knows when to go, whether it’s this year, next year but when it’s time to go I hope he picks the right time. While Arsenal haven’t enjoyed the success the fans would have hoped for this season, Arsene Wenger has done a huge amount for the club over the years. It does seem a little wrong to force out the man who has become synonymous with Arsenal, but better results are expected. Arsenal shouldn’t be losing out to Leicester, regardless of the form they’ve showed this season. If Wenger is going to be allowed to step down in his own time then he needs to make sure he isn’t waiting too long, or his position will become untenable. Redknapp is probably right, and with the support Wenger has from the board it’s hard to see him being forced out before he’s ready. Poor performances between now and the end of the season could always see the manager step down himself though, as he’s clearly not going to want to continue to put up with the fans’ fury.